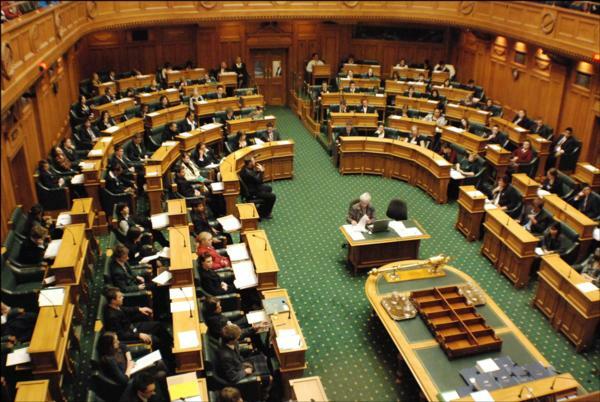 A Maori Party MP believes The Mixed Member Proportional system (MMP) allows too many opportunities for our politicians to achieve power with a disproportionate number of Members of Parliament and admits that Maori seats were only created to prevent a Maori majority from out voting pakeha in previous years. Former New Plymouth District Council Youth Working Party member Michael Riley, 17, agrees and says government needs to step up and make a change to the system because it's insulting to Maori. In 1993 New Zealanders had concerns that politicians were being given too much power, in response to this, New Zealand replaced First Past the Post with MMP. Germany had MMP designed specifically for their country, a defeated dictatorship, mainly to prevent one party from gaining an absolute majority. "New Zealanders didn't want absolute majorities. Kiwis wanted consensus between parties - to avoid upheavals such as those endured the previous decade." "We also didn't want a repeat of 1978 and 1981 where the country witnessed National retain power with less than 40 percent of the vote - and less than Labour." Riley believes the system prevents Maori from improved representation and engagement. “This issue needs to be addressed because us young people, the future of Aotearoa shouldn't be required to clean up the mess." "This is a big issue, a big shambles, that should have been fixed a long time ago, and now is the right time.” Riley said. Former Parliamentary researcher Grant McLachlan believes New Zealand voted for MMP to reduce the number of "wasted votes" to make every vote count, but that's not the case. "New Zealand voted for MMP to reduce the number of "wasted votes" to make every vote count." "The major flaw with MMP is the 5 percent threshold. Under the Sainte-Laguë formula (which calculates the allocation of MPs) major parties can gain a disproportionate advantage if minor parties fail to reach 5 percent or win an electorate." "In 2008, 153,461 votes were "wasted" and 75,493 in 2011. With less than 45 and 47 per cent of the vote respectively, National almost gained a majority in the House." "Because of the 5 percent threshold, there is a risk that votes for minor parties would be wasted. Voters could either vote for their second preference or, at worse, those wasted votes end up benefiting their least favoured preference." "Effectively, the 5 percent threshold is an entry barrier that protects parties already represented in Parliament." "The simple solution would be to scrap the 5 percent threshold. Then more votes would count and the system would be more proportional - more so than the alternative systems offered by the referendum." "As we have seen, the parties in Parliament were left to decide the fate of the referendum and review. They decided to keep the status quo which, in many ways, suits them." "By scrapping the 5 percent threshold we won't see the silly games where the major parties suggest their supporters vote for minor parties in electorates." "Minor parties should not be at the major parties' mercy. It undermines transparency. It undermines democracy." Join the debate? Click here!